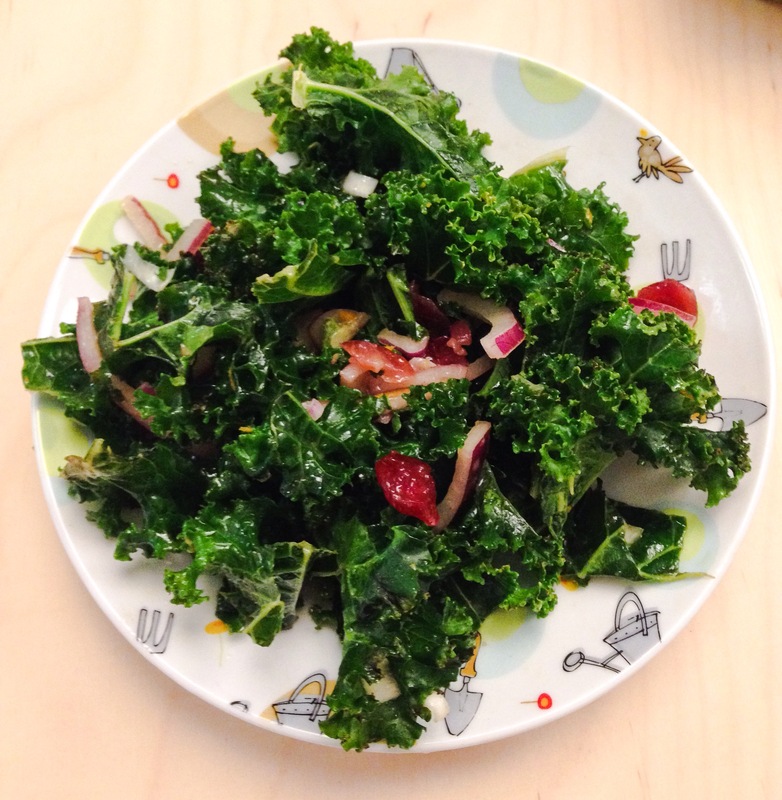 The original recipe from Nourishing Meals calls this Christmas Kale Salad, which I totally didn’t get until I started making it and at one point it looked like a wreath! 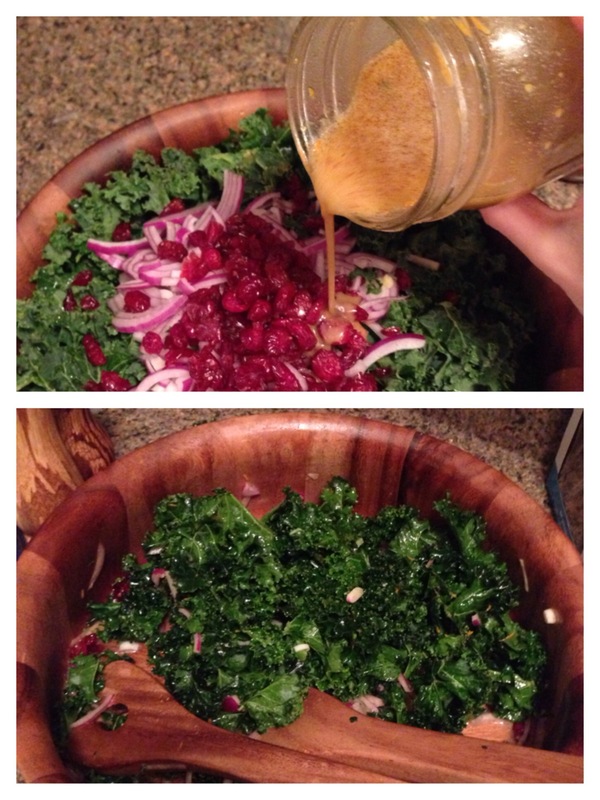 The kale in this salad never softened (they say it will soften after a half hour marinating in the dressing, but even the next day it was still pretty tough, so I would recommend using baby kale or else massaging the kale before you start) Here’s how it went! — 1/2tsp cinnamon – super interesting flavor addition, highly recommended! That’s it! Unless you want to follow their suggestion of topping with roasted pecans. I did want to follow that suggestion, but in the process of roasting the pecans I burnt them. Twice. Oh well! Was still quite delicious.